Coach Bass, Automotive Instructor, was recently named Skills USA Advisor of the Year for SC. Aaron Burgess signs to play at Erskine College. Deandre McMillian signs to play at Methodist University. 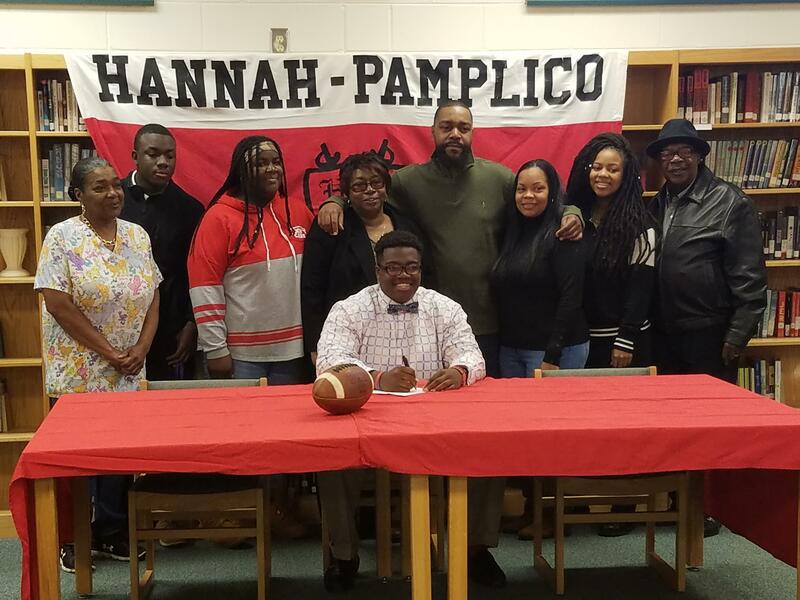 Eric Mays signs to play at Guilford College. The mission of Hannah-Pamplico High School is to provide each student with a diverse education in a safe, comfortable, and supportive environment that promotes self-discipline, motivation, and excellence in learning. We share the responsibility with parents and the community to assist students in developing skills to become independent and self-sufficient adults who will succeed and contribute responsibly in a global community. Welcome to another exciting year of learning at Hannah - Pamplico High School. We are anticipating another great year of educational and athletic excellence. We look forward to working with our stakeholders to ensure that Hannah - Pamplico High School provides the best possible education in a safe and nurturing environment. Our school motto is "Pursuing Excellence With P.R.I.D.E." because our belief is that all students can achieve excellence, if they accept and take personal responsibility in their daily efforts. Our ultimate goal is to ensure that students are college and/or career ready. We hope that you will join us in our pursuits and know that it is always a great day to be a RAIDER!!! Some of our 2017 graduates who are enlisting in the military.